Sarees have been the epic outfit of the Indian women from hundreds of years but still, has not lost its charm. Not just the Indian women, but women from across the globe love the magnificent charm of sarees; it is a style statement that can never be replaced. This has been an ethnic wear for Indian women since many. This is the perfect symbol of heritage for women and in the recent past has become a style symbol as well. But how do you choose the sarees that are best suited for your body type? Well, here is a guide to help you look your best for almost any occasion you step in. The wedding is one of the most important days of life and so it needs to be made memorable. One way to make it special would be the right attire and beautiful appearance. Saree is a common choice for Indian weddings, but there are still thousands of varieties available to make it extra special. Usually, the wedding saree is the highlight of the bride’s attire, and the purchase decision is made after a careful discussion withal involved. These sarees are specially made for the occasion and with the embroidery the sarees become heavy, and silk is the material of choice. From several years, it was a practice to go out and physically do the shopping, but now the trends have changed and online shopping is preferred. The beauty of this saree makes the occasion extra special for sure. Most of the Indian weddings are arranged around a fire and the glitter and embroidery of wedding sarees shine during the ceremony making her the center of attraction. So the members need to opt for saree that matches this criterion. In our modern world, we need a time out to chill with our friends and we look for quiet evenings where we can enjoy our relaxed time. However, depending on the crowd you will also need special attire for the occasion. The glittering effect on a party wear saree is the highlight and makes the moment special for you. The designer sarees are a preferred choice for parties because these are a notch higher than the others. There are numerous colors, designs, materials, and prices available in the market, and so you can select the one according to your preference. The casual sarees are designed for regular wear to work or at home. These sarees are simple and elegant for daily wear. These can be the perfect outfit for office because these are formal and elegant at the same time. The material used for casual saree is usually light in weight and simple. These sarees are also at affordable prices and so you can buy as much as you want to depend upon whether you are working in an office or a housewife. One of the best things is that you can choose from several designs depending upon your choice. When it comes to saree, some of them are unique depending upon the places you get these from. The specialty of a saree depends upon the place, material, and design that you buy. The different states of India have their own unique style and feel to them. For example, the North India and South India saree vary a lot. There are sarees such as Kanjivaram, Ganga Jamuna, Mysore, Banaras, and many others that are unique in themselves. It is quite difficult to describe each one of these, but look and feel in them varies a lot. The alluring sarees for special occasions and places will make a huge impact in whichever event you step in. The beautiful saree is available in material such as nylon, silk, cotton, polyester, synthetic, georgette, and so on. This aspect has a huge impact on the flexibility and comfort of the saree. As the saree makes contact with the body, it is important to carefully consider the comfort factor for the same. 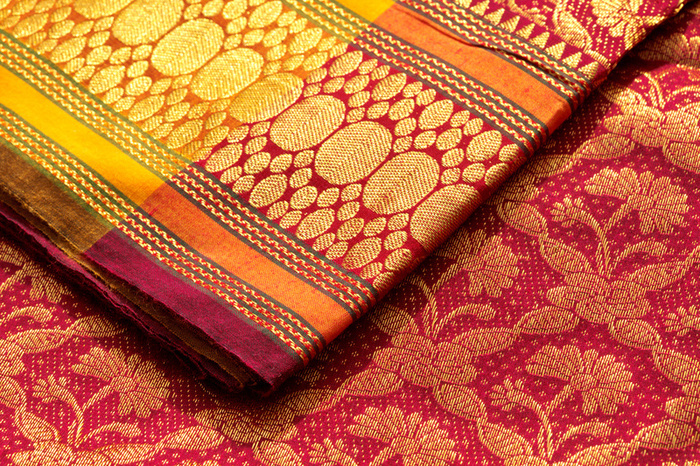 All sarees will not be comfortable for all seasons, and so the fabric needs to be selected after careful consideration. Apart from the material or fabric, it is the pattern of saree that decides on how you look and feel. Many at times women love not the fabric, and style but the pattern of a saree. The pattern has an effect on how the saree will look on your body. A good saree is just like a masterpiece with fine details, artistic designs, embroidery work, zari work, and so on. The pattern of a saree varies from a simple triangle to a complex peacock with colorful wings. At times it becomes a hassle to choose the right saree for the right occasion. There are thousands and designs, patterns and colors to choose from, and if you do not have a lot of time on hand, one of the best ways would be to go for online shopping. Online websites allow you to easily shop around with the various easy features. All that you need to do is to select the preferred saree and click; the package will be delivered to your doorsteps. 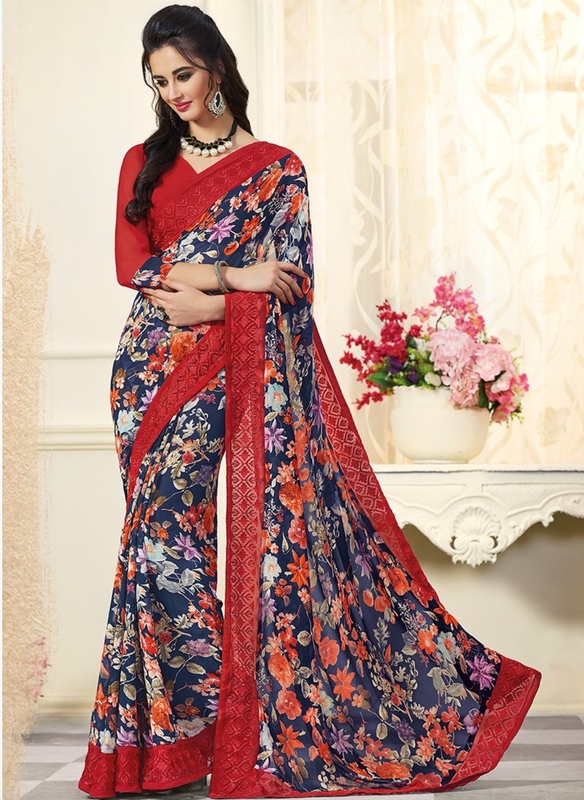 There are a lot of other comforts and styles that are only possible with saree, and so you need to make sure that you stock up on the perfect ones for the perfect occasions. It will be helpful to first carefully go through what is available out there and only then choose the one based on the preferences. There is a right saree for every occasion, and so it is important to choose the one accordingly. Look elegant and stylish at the same time, and stick to your ethnic roots as well. Make sure to match your saree with the right accessories and enjoy all the attention that you will get from the time you step out of your house.